I was born in America to a Taiwanese mother and a Caucasian father. I grew up with three other “halfie” friends, their mothers also immigrants (former classmates of my mom’s) and their fathers white men from this country, just like mine. Three boys and me, only two of them brothers, but all of us family in those days. To me, this was the norm. Mixed race families, with mixed race kids. Even my other best friends were girls with brown hair and brown eyes, so I kind of assumed they were halfies too. Or rather, I didn’t really question what they were — didn’t see them as being different than me — because it didn’t matter. It wasn’t until years later that I realized a family like mine wasn’t necessarily the norm. That mixed race marriages were not only uncommon in this country until the late 20th century, but also illegal in most states until the Supreme Court invalidated those laws. That landmark case, Loving vs. Virginia, was decided on June 12, 1967. So today I’m celebrating 46 years of my family being allowed to exist — and hoping for a future full of more loving marriages, between whatever races, genders, backgrounds, and beliefs there may be. Note: I was inspired to write this post after hearing about this adorable Cheerios ad, and the unfortunate backlash against it. I don’t understand how anyone can watch that Cheerios commercial and think anything other than “holy crap, that is the cutest thing ever.” They had a commercial a few years ago about two young kids who were adopted that also made me melt into a pile of feelings. I also love that you celebrate today. It really is mind-blowing to think that all that went down less than 50 years ago. 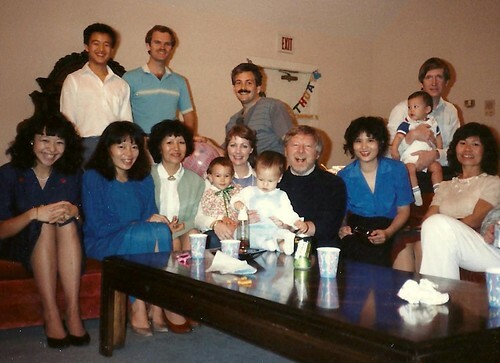 I grew up in a big family with more than half a dozen mixed-raced cousins, and watched their parents over the years engaged in loving, caring, long-term relationships. It was normal to me. When I decided to marry a Greek boy, no one thought it was a big deal. It always takes me aback when someone thinks its unusual, or that it can’t work. When I was young, I almost never saw mixed-race couples on the street. Segregation was still the law in the South, so I saw “white” and “colored” lunch counters and drinking fountains on TV. I see mixed-race couples on the street all the time now. It’s nice to see — a good reminder that, however things are right now, they don’t have to stay that way forever. Wow, great ad. Thanks so much for posting it. I hadn’t seen it nor heard of it / any controversy. I’m pretty sure my kids are aware that their family isn’t the norm. Thankfully, I also don’t think they think there’s anything wrong with it. The reaction to that Cheerios ad totally blew my mind. I saw it because one of my facebook friends liked an article in I think Jezebel, that was basically a woman who is half black, half white talking about how great it is that popular culture finally recognizes that families like hers both exist and are totally normal. But I’m glad to see commercials like that. It means it’s sufficiently mainstream that General Mills thinks they can profit from it. :) And I’m glad that there are people like you to blaze the trail, so that my children won’t have to decide if they are going to be Asian OR white, but will be able to acknowledge that they are in fact both (and American regardless). I was so shocked about the reaction to the Cheerios ad. It’s ridiculously adorable. And here’s to 45 years or mixed-race families! YAY! Someday all people will be mixed-race, and this will be a moot point. I’d never heard of this case. I like to think we’ve come a really long way since this ruling. Your writing, Kristan, is beautiful. Everytime you share bits of your childhood, I am completely captivated. I’m waiting for that book. I hope you’ve started writing it!! Such a great post. So well said, Kristan. In fairness, I don’t normally celebrate Loving Day. In fact, working on this post led me to discover it for the first time. So I can thank the Cheerios ad for that too! Exactly: not-norm doesn’t mean not-good! If only everyone could understand and accept that. I LOVE Loving Day. My husband, who is white, and I make it a point to celebrate. I actually wrote a post that you might find interesting on the subject: http://feminspire.com/why-i-married-a-white-man/. Anyway, it was interesting because we own a restaurant and wanted to acknowledge day on social media and by giving out Hershey’s Hugs to customers. I was crazy nervous about any backlash because of the Cheerios debacle. It ended up being incredibly well-supported and received by our customers, which felt awesome. I love the Lovings. And I love Loving Day.